Heng Ye Film Distribution’s commando action-drama “Wolf Warriors” beat out “Kingsman” over the holiday to earn over CNY ¥200 million (USD $32.5 million) in its first four days on release. In the film, which is playing in China in 3D and Imax, Wu plays a Chinese Special Forces soldier who is kicked out of the army and then joins a mysterious group of insurgents known as the Wolf Warriors. It also stars Yu Nan and the British martial artist Scott Adkins. Ordered to watch and enjoy “Wolf Warriors”? But Tencent asks whether “Wolf Warriors” won the battle of the box office fair and square, or whether there was a political agenda to ensure it ended up #1. The article notes that recent military-themed films such as “Target War” and “Jian Shi Attack” were commercial flops. 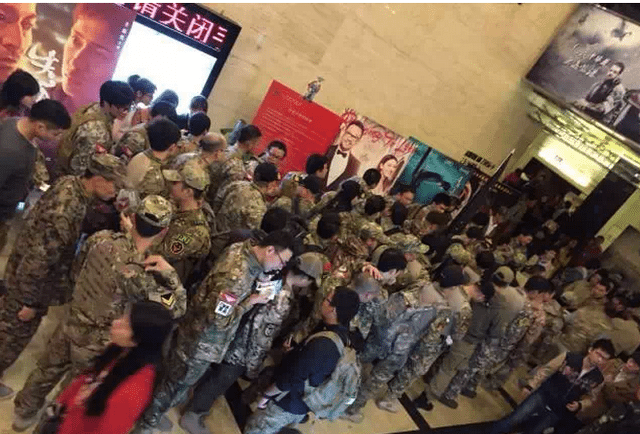 Because it is a military-themed film, it had to be approved by not just SARFT but also by the PLA [Peoples’ Liberation Army] General Political Department and the General Staff. In Nanjing, where it was filmed, there were many soldiers who came out (ordered?) to the cinemas, which also put on many ‘private screenings’ (where the auditorium is rented out for an entire show) of the film. The conclusion is that the film holds up on its own, with a on-line score of 7.3 (out of 10), having production values “very close to Hollywood standards.” Yet surprise at the high BO takings linger. In fact, the SARFT Film Bureau only has the power to review the film, and no power to “order” the major theaters to give it preferential treatment. At most it only “encourages”, such as was the case with last year’s “Day Fireworks” and “The Return” when the film released, SARFT had issued a similar “encouragements” for theater willing and inclined to tilt, but those that do not want to would not be punished. Much of the popularity of the film is attributed to the popularity of its lead, martial arts star Wu Jing, who is particularly revered by males in smaller Chinese towns and villages, where the film did better than in major urban areas. There is no denying the growth of the China box office, which increased 40% in the first quarter 2015 year-on-year, according to data from Ent Group. In the first three months of this year, Chinese box office takings rose to $1.53 billion (9.48 billion yuan), a rise of around 40 percent on the first quarter of 2014. Entgroup data to March 29 showed that box office takings in February, which includes the key box office bonanza at Chinese New Year, were up 23 percent at $660 million. 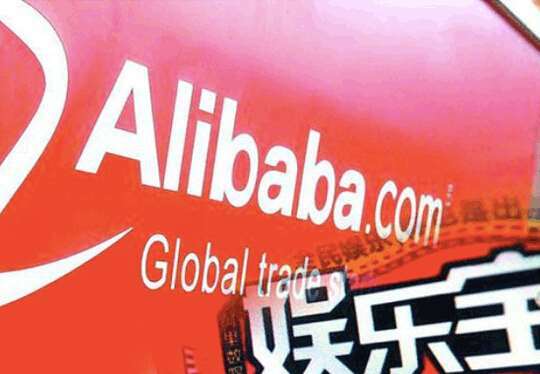 The Mainland market also reached the CNY ¥100 billion milestone in under 100 days, more precisely CNY ¥10.177 billion at 19:00 on April 6th. IN 2014 it took 141 days. 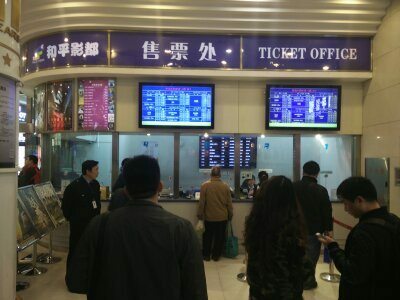 Online mobile ticketa (including CNY ¥1, ¥9.90 and ¥19.9 super fares) accounted for 50% of all sales in Hangzhou over the three-day Qingming holiday. 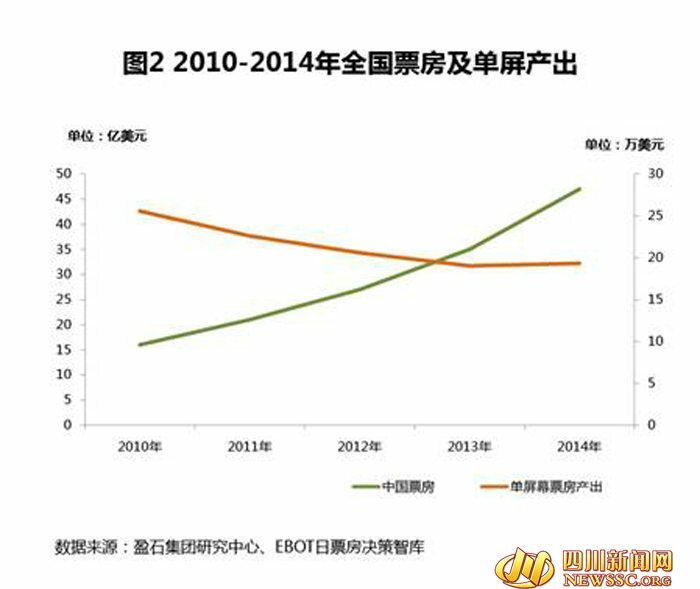 Yet annual China cinema growth figures are not all that they appear to be, as highlighted in this analysis by Sichuan News Network’s Real Estate Channel, which shows that screen growth continues to outpace boxoffice growth. 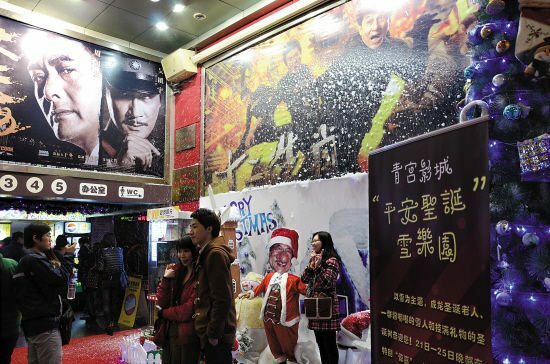 The article calls this “crazy expansion” and points out that ticket prices was static in 2013 and 2014 at CNY ¥35 (USD $5.64), with e-commerce platforms/app increasingly subsidising cinema tickets. 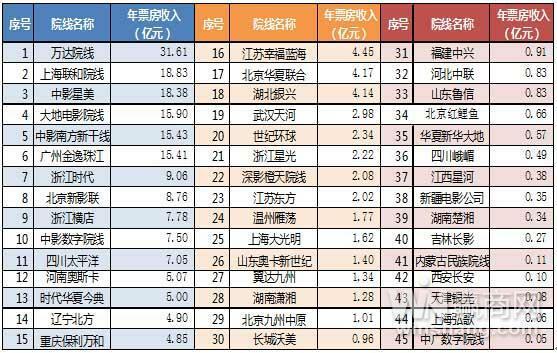 So which cinema in China has the highest per-seat income? If you guessed an Imax screen, perhaps in Beijing or Shanghai, then you couldn’t be more wrong. Exhibitors are increasingly concerned about the power of the internet majors BAT [Baidu, Alibaba and Tencent] as they not only muscle in on selling cinema tickets via smartphones but also make forays into film production and distribution (Ali Pictures). RealD continues to roll out its 6FL (six foot-lambert brightness) ‘quality stamp of approval’ for cinemas in China. Not surprisingly it is RealD’s major client Wanda again. 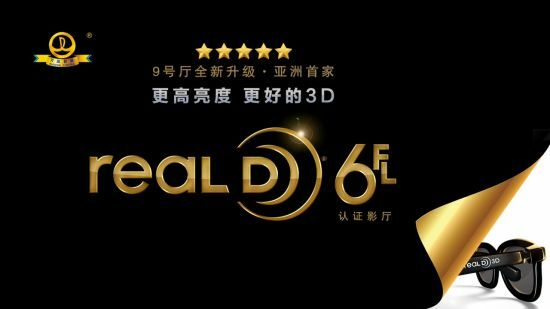 RealD 3D film company has issued the first 6FL certification in China, whereby 3D film screenings are held at the brightness of the cinema auditorium available for the 6FL certification. April 8, 2015, Wanda Cinema Zhengzhou Zhongyuan, Wanda Cinema Zhengzhou, Henan twenty-seven stores will get the first 6FL certification, high quality 3D will be highlighting Zhengzhou pursuit of quality of life and love movies collar heart love. While Wanda tends to get a lot of publicity it is easy to overlook other exhibitors also growing fast, such as the #2 Shanghai Cinemas, owned by Shanghai Film Group (SFG). Motion seat vendor MediaMation has signed a deal to install its seats in Wanda Cinemas’ Nanning multiplex through a partnership with Chinese 3D equipment supplier Luxin-Rio. MediaMation, a maker of 4D technology, has opened its first location in China, one of several projects it hopes will come to fruition in the People’s Republic. Toronto’s Chinese-language Dushi.ca publication highlights that only three cinemas in Canada still use analogue film and explains the difference between Canadian and Chinese cinema layout. Think ribs, but not sweet-and-sour spare ribs. Canadian City Network: Cineplex theater company converted to digital in 2012. The company currently only has three theaters in the country that still using film projectors, Toronto Only VarSity and Bay / Bloor Cinema, mainly in order to show films where the only copy is on film.